An ideal way to display your connection to GlenWyvis Distillery. 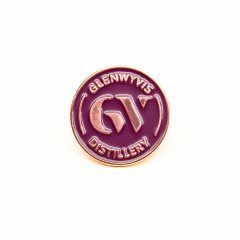 Our pin badge is made from purple enamel with a copper GlenWyvis logo. Butterfly pin on the back will fit the badge securely to any bag or item of clothing.